Online registration will close at 11 PM on Sunday, July 2. If you miss the online registration, you will be able to register at the Flora-Bama on Monday, July 3, between 4 and 7 PM or on race day from 6 - 6:45 AM. 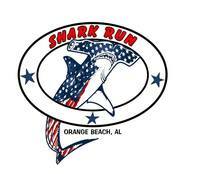 Come Join us the th 5th Annual SHARK Run at the Flora-Bama TUESDAY July 4th morning. Top finishers and age group winners in the 4 Mile road race and 4.5 Mile Adventure race will receive awards. 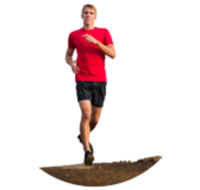 All 4.5 Mile Adventure Run finishers and 1 Mile Adventure Run finishers will receive a special finisher's medal. NEW this year-we will be giving the First 300 to register Sublimated Running singlets which will be available in Male and Female sizing/cuts. But EVERYONE that does Any of these races will get a shirt. Packet pick-up and late registration will be available on Monday, July 3, from 4 - 7 PM at the Flora-Bama. Race day registration and packet pick-up will be available from 6 - 6:45 AM at the Flora-Bama. Awards, FREE Food including cold watermelon and hot pizza, and cold beverages including BEER for all participants.